With increased security, it’s getting harder and harder to spot your favourite celebrity at the Toronto International Film Festival. This year will probably be worse than last (as it always is). I am not a red carpet lover because it is so packed with people and cameras. Once the celebrity arrives, people swarm to get that autograph or selfie. With that said, some of my favourite bloggers and TIFF goers do manage to get the shot or autograph that they want by waiting endlessly behind the guardrails. Not my thing…I like to keep moving. The key thing about celebrity stalking is PATIENCE. 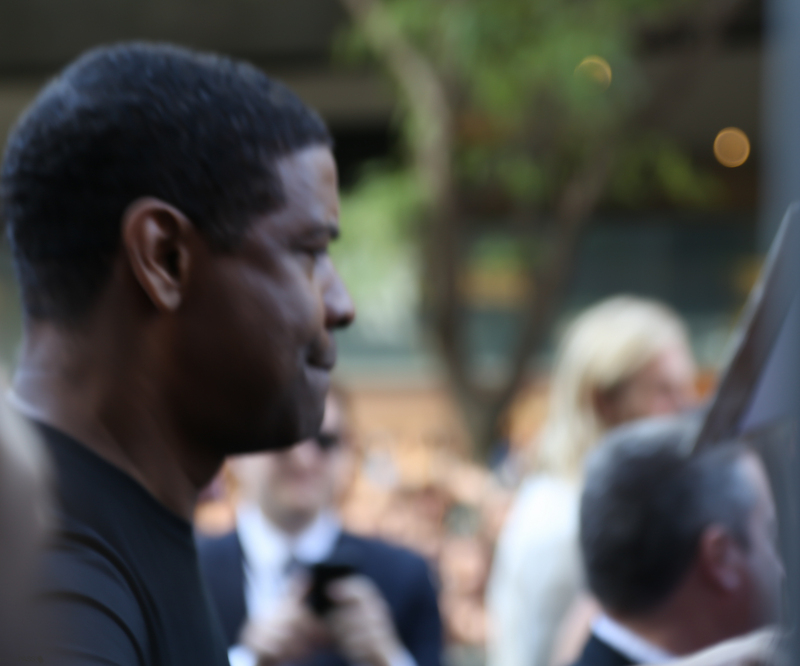 Last year I waited over two hours to see Denzel Washington and he was in and out like a flash. So with that said, here are a few choice spots to spot a celebrity at TIFF. Intercontinental on Front Street – The Intercontinental Hotel hosts some of the swankiness gifting lounges during TIFF. If the celebrity is feeling charitable, they will get dropped off at the front doors. If not, they will be whisked into the underground parking. Ritz Carleton on Wellington Street – Yet another venue to shut up and wait. With the plethora of SUV’s, celebrities are quickly whisked in and out of the main doors. Some celebrities will throw a wave or come sign autographs to the awaiting crowd of fans. Four Seasons Hotel on Yorkville Avenue – The team at the Four Seasons Hotel does a magnificent job keeping their guests away from fans. There are certain times of day where you may catch a glimpse of your favourite celebrity out for a run or taking a stroll to Yorkville. Yorkville – Although I have only spotted a celebrity in Yorkville in rare occasions, we did meet Gerard Butler a few years back. It has been reported that many celebs will stroll around Yorkville incognito. After the movie, Roy Thompson Hall Back Doors – I have yet to see a celebrity sign autographs as they exit the Roy Thompson Hall but some will open their window and toss a wave to awaiting fans. Whether you spot a celebrity strolling or in their Red Carpet best, it’s always advisable to be courteous and polite. They are people too. Respect their privacy and know the right time to approach them. I spotted Halle Berry strolling the back streets of Festival Central with her family and daughter. I raised my camera but then realized that this was a private moment between mother and daughter. While I love getting shots, I’m not the paparazzi. For myself, TIFF is a photography lesson each and every time. I get enjoyment by talking to the photographers and getting tips and tricks. I will be attending the Property Brothers’ Producers Ball this year and doing media at that event. I can’t wait.